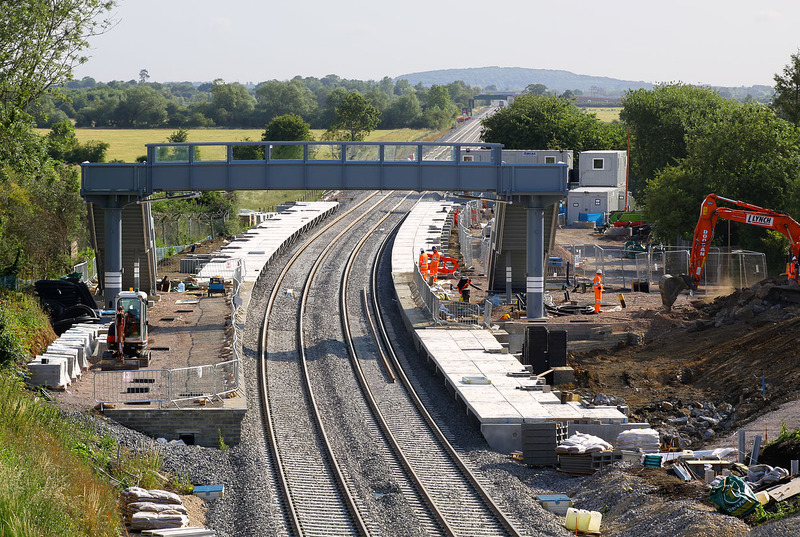 Islip station under construction on 9 July 2015. The platforms are nearly complete, and the footbridge has been installed since I photographed this location a few months earlier. Just visible in the far distance near Oddington is a track machine on the newly installed up line.